New Wave Friday is a fun family-friendly event featuring activations, shopping exclusives, food, libations, live entertainment & more. We are thrilled to welcome back Taimane to Ward Village! She will be performing on the main stage. Plus, a hip-hop performance by Nyah! RSVP and check in at the event to receive a free tote designed by POW! WOW! founder Jasper Wong! Quantities are limited, so please arrive early. Eventbrite check-in will be located at the IBM Building on 1240 Ala Moana Boulevard. Post a photo from New Wave Friday on your Instagram feed and use hashtag #newwavefriday. 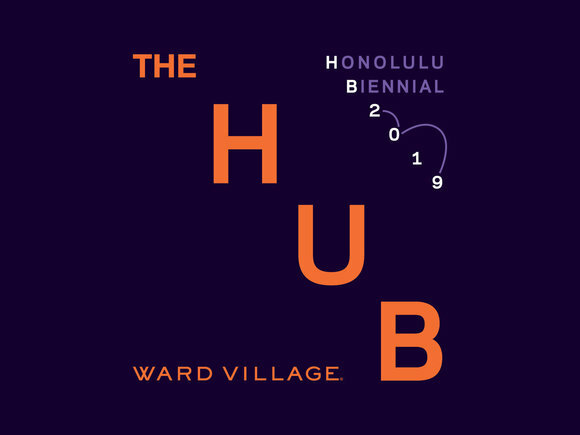 Your Instagram account must be public and you will need to follow Ward Village on Instagram to enter. 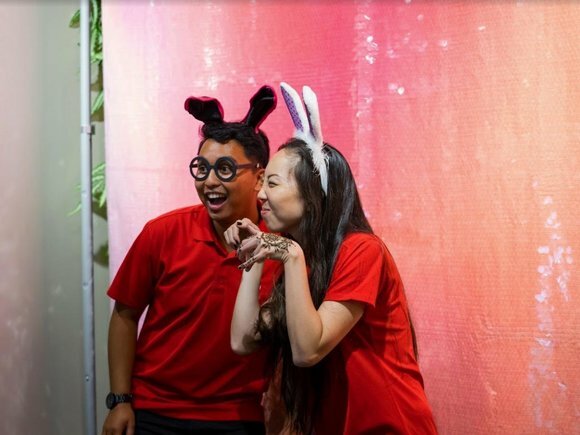 Photo may be re-posted on the Ward Village Instagram page. Take Lyft and save! New Lyft riders use code WARDVILLAGE for up to $20 in ride credits. For existing Lyft riders, use code NEWWAVEFRIDAY for 20% off rides to and from the event. 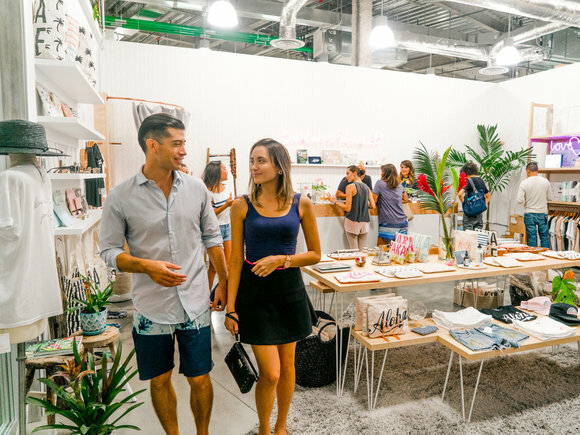 Enjoy special offers from Ward Village merchants during New Wave Friday! Big Island Delights: 15% off entire purchase, excluding special orders, gift baskets & gift boxes. Enjoy in-store smaples. Dave & Busters: Spin our Wheel in South Shore Market for fun prizes at New Wave Friday. Eden in Love: Buy one item, score the second similar item for 50% off. fishcake: Come view a fresh cycle of "SALON" at APT #155 by fishcake, a quarterly salon-style showcase of emerging and established local artists. Flotsam & Co.: Score a free jewelry gift with purchase of $100 or more. Mahina: Enjoy champagne & treats in-store at New Wave Friday. MORI by Art + Flea: Art + Flea on Queen Lane with 25+ vendors featuring local fashion, art, music, food and more! Novel-T World: T-Shirt vendor inside South Shore Market. Via Gelato: $1 keiki cups or $2 keiki cones. We've got plenty of fun for the whole family! Bring the keiki and enjoy large format chalk art plus POW! WOW! coloring activities. Auahi St. will be closed for New Wave Friday. If you are driving, please note the entrance to the South Shore Market parking garage will be closed on Auahi St.; please enter on Queen St. The Ward Centre parking garage will be open with modified in and out access. 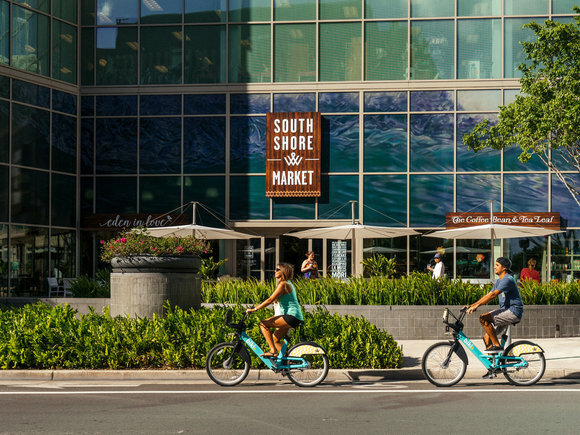 Parking is also available at Ward Entertainment Center, Ward Warehouse Garage, Whole Foods Market, and other locations across Ward Village. Check out our parking page for more information.